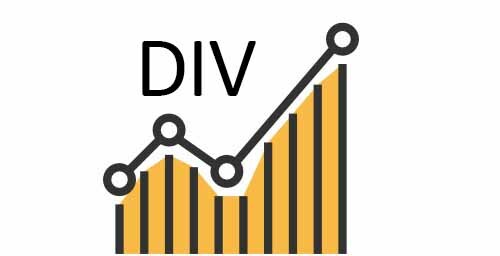 Each month we sort through over 1,000 dividend paying stocks to create a top 100 list based on critical dividend factors. These include yield, payout ratio, dividend growth, revenue growth, and 1-year return. This list highlights the 5 highest yielding stocks from our top 100 list. Data in the below chart is from our January 1 data refresh. The charts are 6-month charts from CNBC. AT&T has a P/E ratio of 5.4 and a dividend yield of 7%. It has a moderate 5-year dividend growth rate of just over 2% with a decent 6.6% 3-year revenue growth rate and a low payout ratio of 38%. The negative return hurt AT&Ts rating. Evolution Petroleum has a yield of 5.7% and a 3-year revenue growth rate of 14%. It has a one year return of 4.5%. Keurig Dr Pepper has a P/E of 4.3 and a yield of 5.16%. It has a strong 5-year dividend growth rate of 11.2% and a poor 3-year revenue growth rate of 3%. It has a low payout ratio and a solid 1-year return of 34%. Macy’s Inc has a P/E ratio of just 5.4 and a dividend yield of 5%. It has a strong 5-year dividend growth rate but there is some concern over their negative 3-year revenue growth rate of -4%. It has a low payout ratio and a strong 22% 1-year return. United Bankshares INC has a dividend yield of 4.4% and a payout ratio of 15.5. It has a low 1.4% 5-year dividend growth rate but a very strong 15.3% 3-year revenue growth rate. The payout ratio is fine at 68% but it has had a poor 12-month performance.